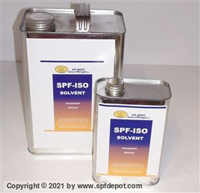 Proprietary Product of SPF Depot. O-Ring Lubricant. Superior to the OEM product. Custom blend MADE SPECIFICALLY for spray foam and polyurea applications. No more putting lube on the bench, now just dip into the jar. Less waste, less mess. 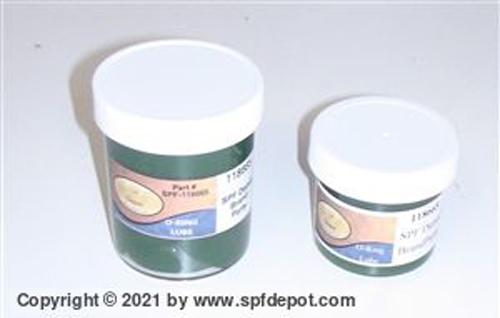 A synthetic blend of grease made specifically for polyurea and foam applicators. High temp/High pressure rated. Compare to Graco 4oz tube @ $9.00! 1st time testing the grease i/o the Graco Fusion- so far seems to be performing ok. The guys seem to like this grease. No waste at all now that they can easily dip the ring or their finger in compared to them squirting Graco's on the bench and wasting the majority.